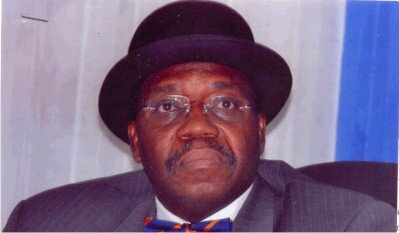 A former Permanent Secretary in the Ministry of Power, Godknows Igali, ‎has forfeited 47 SUV cars to Federal government, the Economic and Financial Crimes Commission (EFCC) has said. The information is contained in a report by EFCC which the anti-graft agency submitted to Senate Committee on Financial Crimes and Anti-corruption. The report said that the cars were seized in Utako, Abuja residence of the former Permanent Secretary. Igali is currently undergoing investigation by EFCC over alleged corruption. Meanwhile, Senate Wednesday kicked against donation of building and furniture to EFCC by unnamed state governor. The upper chamber said that such donation has the capacity hamper the war against corruption in the country. Senator Dino Melaye who spoke at a budget defence session with the EFCC expressed dissatisfaction with a situation where governors are donating money to the anti-graft agency. Melaye, (Kogi West) insisted such development would tamper the independence of the EFCC. The committee demanded for review of the contract details of EFCC building which is put at N26 billion against the initial N18.8 billion awarded to Julius Berger. The committee wondered how a contract awarded at N18.8 billion will be increased to N24 billion and later a request of additional N2 billion for power plant and sewage. It asked how a 10-storey building will be awarded without sewage and power plant from when the contract began. The Chairman of the committee, Senator Chukwuka Utazi said the signing of the contract was against the advice given by the Bureau of Public Procurement. Utazi noted that considering what was going with the EFCC building, there was need for Julius Berger management to appear before the committee. He also said that the consultant that advised the EFCC to go against the advice of BPP on the contract should appear before the committee.